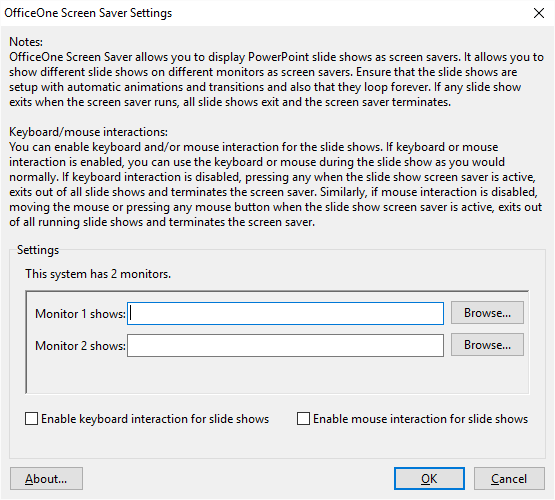 After installing OfficeOne Screen Saver, you need to configure the screen saver with the PowerPoint slide shows that you wish to display as screen saver. Right-click on Windows 10 desktop and select Personalize menu item. Click Lock Screen in the left pane. 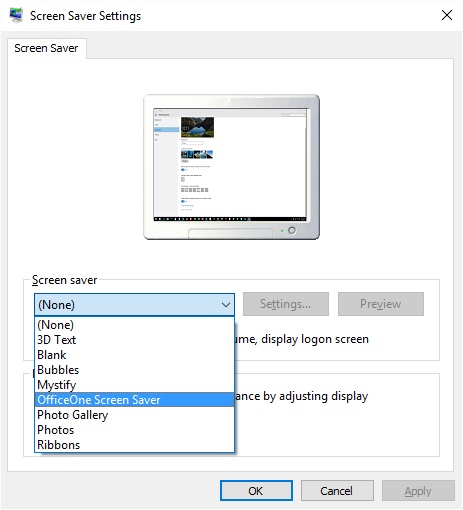 Click the Screen saver settings link in the right pane. Right-click on Windows 7 desktop and select Personalize menu item. Click the Screen Saver item. Right-click on Windows XP desktop and select Properties menu item. Click the Screen Saver tab. It shows the number of monitors that are attached to the system and allows you to setup those many number of PowerPoint slide shows. Use the Browse button to locate and select your PowerPoint presentations. You may choose to leave any monitor without any PowerPoint slide show configured for it. 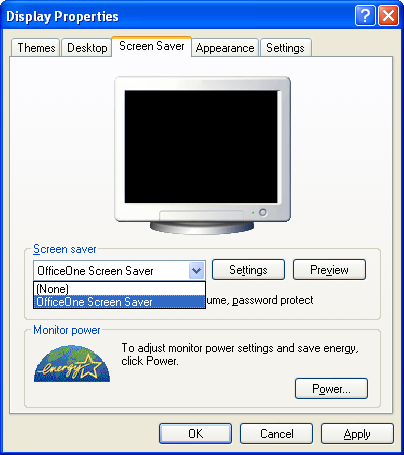 OfficeOne Screen Saver will show a blank screen for that monitor when in screen saver mode. 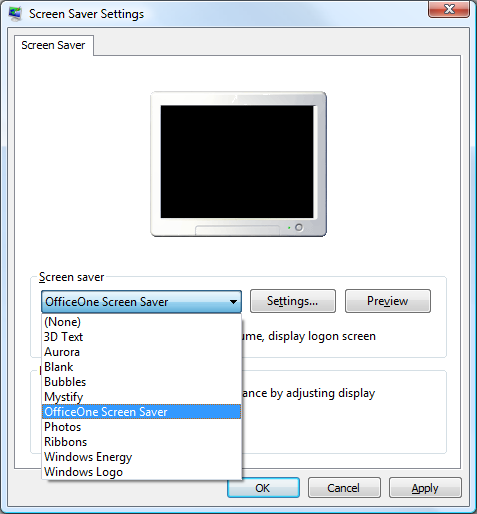 For the PowerPoint presentations that you select, OfficeOne Screen Saver will show those slide shows as screen saver. Most often, screen savers are non-interactive and terminate as soon as a keyboard or mouse interaction is noticed. For such situations, please ensure that your PowerPoint presentations are setup with automatic (timed) animations and transitions. Also, please ensure that the presentations loop are setup to loop forever. You may enable keyboard and/or mouse interaction for the screen saver. If you enable keyboard interaction, use Ctrl+Alt+Esc key combination to terminate the screen saver. Click OK button when you are done with setting up OfficeOne Screen Saver. Click here to see the purchasing details. Contact OfficeOne on email at officeone@officeoneonline.com. Copyright © 2001-2019 OfficeOne. All rights reserved.